Comforting warmth in the harshest conditions. 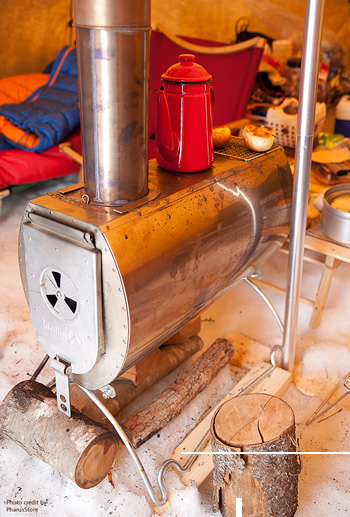 A prototype of Eldfell Pro Tent Stove was an essential and much appreciated member of the demanding Swedish expedition to Siberia in 2004–2005, called "the world's coldest journey". 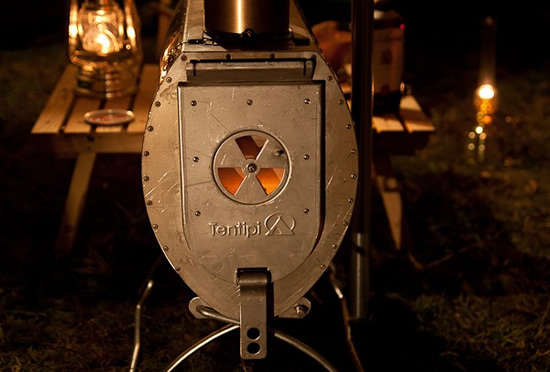 Photo of Eldfell Tent Stove inside a Tentipi Safir 9 CP. 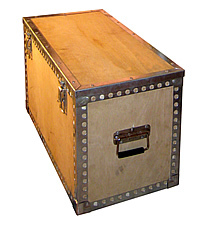 Eldfell Pro Tent Stove comes in its own purpose-made wooden box. Excellent Eldfell wood burning stove assembly video.Nothing heats a Tentipi Nordic tipi like an Eldfell wood burning stove. Eldfell is the natural heart of the Nordic tipi and a faithful friend in cold and wet conditions. Create a warm, cosy atmosphere, dry clothes, cook food — basically, enjoy the comforts of home.The ingenious design means combustion takes place nearer the ground, creating more heat inside the tent. A baffle system creates a natural "hot spot" which is ideal for cooking.Buy Tentipi in the USA and Canada at http://mansfieldoutdoors.comAuthorized North American distributor of Tentipi Adventure Products. 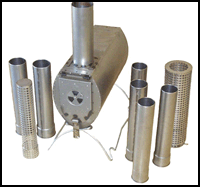 Explore and buy from our full range of heated tents and outdoor camping gear like stainless steel tent stoves, inner tents, tent porches, tent floors, drying rails and more. Click the button below to add the Eldfell Tent Stove 7 (Pro) to your wish list.